Welcome back to the Chops blog! Today we’d like to take the chance to preview the new college football season and several of our local collegiate marching bands. If you are a fan of the marching arts, it’s hard to beat Indiana. Between drum corps during the summer, marching band in the fall, and winter guard and percussion during the winter and spring, there’s rarely a break between marching seasons. However, it’s easy to forget that there are many great college marching bands in the state. Butler, Purdue, Indiana, Indiana State, and Marian University are all located in, or within a short drive from Indianapolis, and have excellent marching bands. These bands will perform before, during, and after their school’s home football games throughout the fall and winter. For the relatively inexpensive price of a ticket you can see an exciting college football game and performances from the band. Be sure to get there early for some tailgating, as most of the bands will perform outside the stadium before everyone heads inside! The Butler University Marching Band will perform five times this fall at upcoming games. The Indiana State University Marching Sycamores will perform five times this fall at upcoming games. 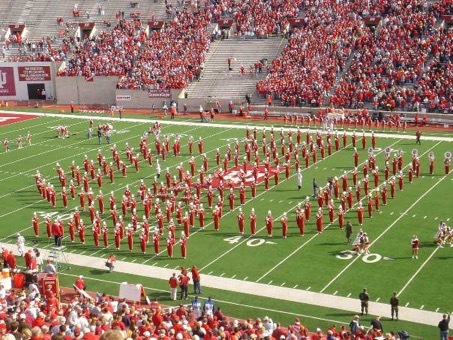 The Indiana University Marching Hundred will perform seven times at IU games this fall. The Marian University Marching Band will perform four times this fall at upcoming games, along with many exhibition performances at local marching band shows. 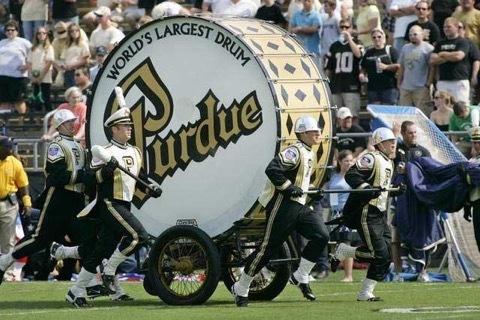 The famous Purdue “All-American” Marching Band will perform at eight upcoming games this fall. Not sure which game to attend? We’d recommend the classic Indiana-Purdue rivalry game, the Old Oaken Bucket. Both school’s bands will be in attendance, and the in-state rivalry is an atmosphere you have to experience. Don’t miss the opportunity to see an exciting football game and marching band performance this fall! Marching arts and electronics. Chops can help!